The Victorian Parliament approved the Melbourne Airport Environs Strategy Plan in 2003. The government has committed to review the strategy plan, and the effectiveness of controls intended to safeguard the Melbourne Airport Environs Area and the airport's ongoing curfew-free status. The review will be informed by Melbourne Airport's Runway Development Program for the proposed third runway and the 2018 Melbourne Airport Master Plan process. 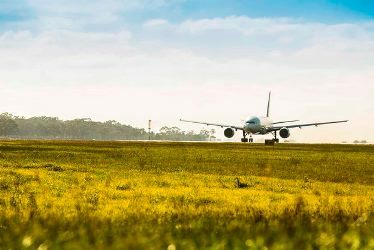 For details of the planning and assessment process for the runway and master plan including public exhibition, visit Melbourne Airport's website. Standards Australia has completed a review of Australian Standard 2021-2000: Acoustics – Aircraft noise intrusion – Building siting and construction (AS2021). This standard provides an assessment of potential aircraft noise exposure around airports. It is used to guide planning for land in the vicinity of airports. Standard AS2021 is applied in the Victoria Planning Provisions through the Airport Environs Overlay and Melbourne Airport Environs Overlay. The review led to an updated list of aircraft types used to measure likely noise impacts. Victoria supported the review of AS2021 and was represented on the review committee. The revised AS2021 was published on 25 March 2015 and is available for purchase from SAI Global Limited. The Victoria Planning Provisions and the Ministerial Direction on the Form and Content of Planning Schemes have been amended to reflect the revised standard. In 2016, Standards Australia also published Handbook SA HB 149 Acoustics – Guidance on producing information on aircraft noise, which was open for public comment until 19 November 2015. The handbook provides guidance on producing public information about aircraft noise. It is available for purchase from SAI Global Limited. The department's Planning Practice Note 75 explains how the planning system regulates helicopter activity, and provides guidance on preparing and assessing permit applications for the use and development of land under Clause 52.15 (Heliport and Helicopter Landing Site) of planning schemes. Air ambulance services play an increasing and critical role in emergency healthcare. The Department of Health and Human Services has prepared design guidelines setting out the requirements for heliports and associated airspace for flightpath protection including spatial considerations, access, lighting, flight path design, protection measures and operational issues. The Department of Health and Human Services has published Design Guidelines for Helicopter Medical Transport Landing Sites. Amendment GC49 applies the Design and Development Overlay to the flight paths of helipads at 12 Victorian public hospitals and amends existing overlays and schedules including at seven public hospitals. It protects operational airspace of helicopters and requires that planning permit applications be referred to the Department of Health and Human Services for assessment. The amendment also includes the Hospital Emergency Medical Services Helicopter Flight Path Protection Areas Incorporated Document, June 2017 in relevant planning schemes. This requires a planning permit, for otherwise exempt development, to protect Helicopter Emergency Medical Services flight paths from encroachment by development that could prejudice the safety or efficiency of the helipad at the relevant public hospitals. The Victorian Government will support a planning for airports and safeguarding training program for planners and related professionals. Details of the training course will be provided here when they are available. Industry stakeholders and practitioners keen to participate in the course can register an expression of interest by emailing their full name, phone number and organisation to planning.systems@delwp.vic.gov.au.